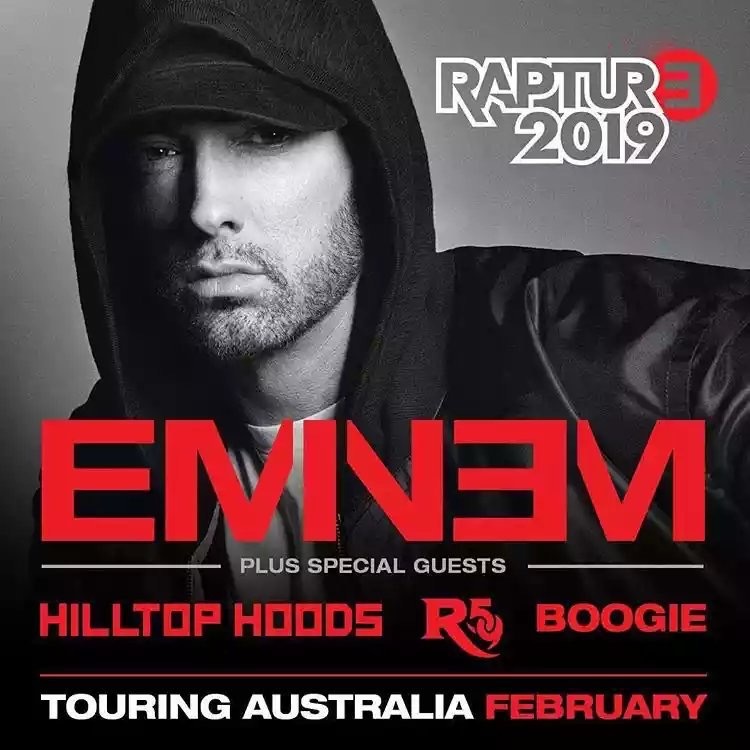 Today the list of guest opening up acts in Australian part of Rapture Tour 2019 was officially released. The list includes Hilltop Hoods, Royce 5”9, and Shady Records’ freshman -Boogie. Royce’s brother and hype man Kid Vishis will perform with him, according to statement.